Making the decision to use a pen name for my fiction work was easy. The hard part has been marketing a new person alongside my non-fiction writer self. If I’d realized the challenge it would be, I probably still would have done it, but because of the difficulties, I can see why sticking to one name is an easier and faster way to build a platform and sell books. 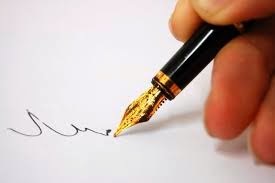 Here are some things to consider when deciding on a pen name. 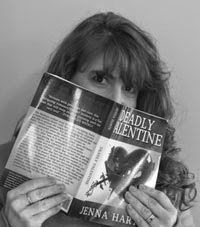 My fiction is romantic mystery and while it has some explicit scenes, it’s nothing close to Fifty Shades of Gray. But people ask me if I use a pen name so my mother won’t know what I wrote. Anonymity wasn’t my reason for choosing a pen name, but it is a good reason and I’ve met several authors who use a pen name for that reason. My reason for using a pen name was to separate my fiction writing from my non-fiction writing. By day, I’m a freelance writer, author, speaker and online entrepreneur. When people search my name, they expect to find specific types of information, not romantic mysteries. Having two names has allowed me to create two brands. With that said, many authors write in several fiction genres and non-fiction using one name without any confusion among their readers, so a pen name isn’t really necessary. Writers and authors need a website or blog, so along with the three blogs I manage under my real name; I had to create a blog for my pen name. Anyone who blogs knows that coming up with content required to keep blogs relevant and interesting is a challenge. It’s one I struggle with constantly under my pen name. There are moments when I wish social media would die. 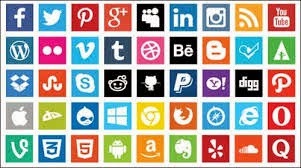 It was fine when it was just Facebook and Twitter, but now there’s Pinterest, Google+, Goodreads and more keep coming. It’s challenging enough to manage social media with one name, but with two, it’s a nightmare. So much so that I’ve hired someone to manage Twitter and Facebook for my pen name. But that doesn’t get me off the hook completely. Social media is... well... social. So I still connect and participate in the conversation. Don’t get me wrong. I love connecting with other writers, readers and of course, fans. But it’s very time consuming, which takes away from writing. I still haven’t figured out how to get around this issue. The real me and my pen name me look the same. And while it would be alright for people to know that both names are actually one person, I like keeping them separate. In some cases, you can use the cover of your book instead of a headshot, but other times, media sources want to know what you look like. In fact, Southern Writers Magazine wants a headshot. All-in-all, I like having two separate identities; however, I recommend that people think through the work that goes with platform building from scratch using a name no one has ever heard of.